This guide will take you to enjoy Singapore colorful ethnic and cultural diversity. It is the lively fusion that makes Singapore society unique. Chinese is the largest ethnic group, accounting for about three-fourths of the total population. Therefore, Chinese culture occupies a prominent position in all aspects of Singapore, from languages and food to entertainments and festivals, which is exactly true. Most of Chinese are from Fujian, Guangdong and other southern provinces of China. The Chinese from the area of Fujian dialect and Chaozhou dialect is the most, the second is from Cantonese area, Hainan and a few other dialects areas of China. Many people came here in order to escape from the hard environment in the hometown, but in the end become a labor. Others show a talent in business, and many well-known entrepreneurs in Singapore are Chinese descents. Today, Singapore Chinese performed very well in every field of the society, from the political and business to sports and entertainments, with their figures showing up at all stages. Despite their traditional culture has merged with other local ethnic culture and been influenced by western culture, the tradition of celebrating the Spring Festival has never changed; the big celebrations let them remember the meaning of being a Chinese. Although the number of Eurasian living in Singapore is small, the influence they have brought is big. They are a vivid microcosm that shows a mixture of the east and the west here. 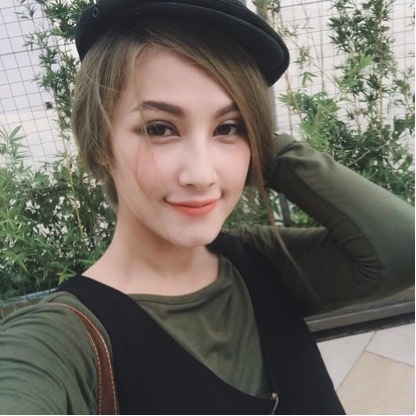 Eurasian began to live in Singapore since the early nineteenth century, who is a mixture descent of European and Asian. Most of the Singapore Eurasian’s European ancestry is Portuguese, Dutch or English, and their Asian ancestry is Chinese, Malay or Indian. The first batch of the Eurasian came here a few years after the British establishing Singapore in 1819, mainly from Penang and Malacca. During the colonies, many Eurasian were employed to be a clerk of the government, European Banks and Business and Trade. Women are mainly to be teachers or nurses. Eurasian’s first language is English, but there is some of the older generation of the Eurasian who were descendants of the Portuguese using a branch of the Portuguese language known as Christensen. The Eurasian have their own culinary traditions, including signature food such as curry broth (a curry as the main ingredients of broth), shepherd and Sushi cake (the main material for the coarse grain flour) etc. Indian is the third largest ethnic group in Singapore, and Singapore Indians are one of the largest Indian ethnic groups overseas. The British people have settled down in Singapore since 1819, many Indian come from southern India. Today, about 60% of the Indian here are the offspring of the Tamil people. More than half of Singapore Indian believes in Xingdu. The Indians here is famous for the entrepreneurial spirit, many Indian start a business here, ranging from textiles to jewelry business etc. all aspects of life. Today, they also have a superior performance in political and academic area. Talking about Singapore Indian, we have to mention their food, which adds a unique flavor to Singapore’s diverse diet culture. Widely Popular Indian food include Thosai (savoury pancake) and Vadai (Fried bean cake) etc. 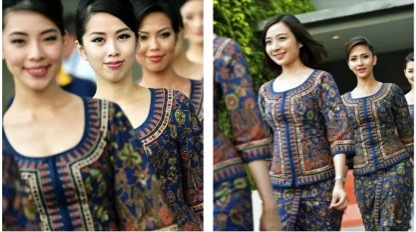 Malay is the second largest ethnic group of the earliest settlers came to Singapore. As a result, their culture influences other groups arrived here later. Malay in Singapore originally came from the surrounding areas, including the island of Java and Weian island of Indonesian as well as the Malay Peninsula. Here, the locals’ language is more similar to Malay of Malay Peninsula, rather than Malay of Indonesian islands. Their traditional food such as nasi lemak (rice cooked with coconut milk and pandan leaf) and Malay mein (yellow noodles with spicy gravy) are very popular to the locals, which are Singapore’s famous signatures of street food. Most Malay are Muslim and their main holiday are Lesser Bairam and HaJi Day, when the united Malay gather to celebrate their important festivals of cultural and religious tradition. Native Chinese cuisine habit has been influenced by Malay foods; spicy taste is its character. 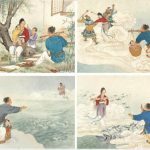 Native Chinese show a unique charm of multicultural blend in the region. 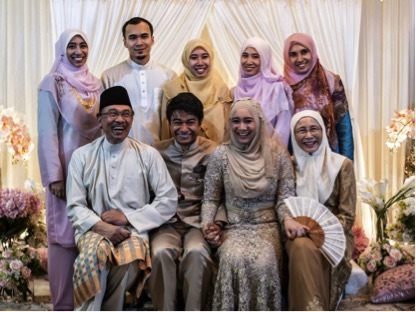 Native Chinese refers to the offspring who are born after a Chinese or Indian male marrying a local Malay or Indonesia women. Native Chinese are all over Southeast Asia. 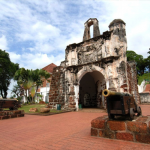 Singapore native Chinese (also known as the strait of Malacca Chinese) can date back to the 15th century, when the native Chinese’s ancestors married local Malay women. There are also Chitty Malacca (or Native Indian) in Singapore, who are the offspring after southern Hindu traders intermarrying with local women and Zhuayi Indian, who are the product of the marriage of Muslim businessmen and the women of local community in southern India. Many of the early native Chinese are traders and retailers, and others are engaged in real estate, shipping and banking. 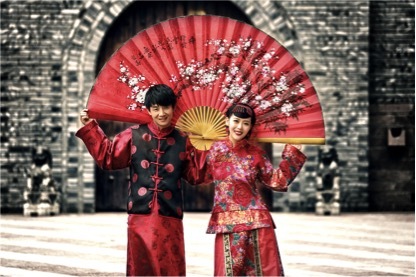 Although many strait Chinese gradually into the larger Chinese community overseas, they still keep a unique cultural feature, the most notable feature is their diet and traditional dress. Peranakan dishes named after native Chinese women created it, with a rich flavor of Indonesia and Malay, using more spices and coconut milk. This kind complicated and delicate dress is a plate emblazoned with a picture of the embroidery chiffon blouse, and the common pictures are roses, orchids or butterflies.